We are glad to announce the release of EMPS 2.4 stack, the backbone for Webuzo Control Panel which comprises of updated NGINX – Perl – PHP system applications to favor smooth control of the Webuzo Control Panel. Note : New Installations will automatically fetch EMPS 2.4 stack during the installation process. Existing Users can refer to the following guide to update their EMPS Stack. This tutorial guide users to manually upgrade their OpenSSL installation. Step 3) Remove and Create the OpenSSL directory to download the latest packages. Download the openssl package as per your architecture. Test your server for CVE-2014-0160 !!! We will be launching a New version of Webuzo soon which will automatically fix this issue !!! If you still face any issues, please open a support ticket with the root details of your server and access to your Webuzo Enduser Panel, we will resolve your issues. Install Apache, MySQL, NGINX, Java, Tomcat, MongoDB, Python2, Perl, PHP 5.3, PHP5.4, PHP5.5, Ruby by just a click from the Webuzo Enduser Panel. System applications are installed and configured by Webuzo !!! Install popular scripts like WordPress, Joomla, Prestashop, Magento, Drupal, etc all by just a click of a button !!! Webuzo allows users to create email account for their domains by deploying the Email Server (Exim + Dovecot) by a click of a button. Exim and Dovecot can be installed from the Webuzo Enduser Panel >> Apps >> Utilities Category. Webuzo provides SquirrelMail as the default Webmail to access emails of the accounts created from the Webuzo Enduser Panel. Once you have created Email Accounts using the tutorials mentioned above, here is a step-wise guide to use Gmail to retrieve it via the web. Step 1) Login to your Gmail account. If you don’t have a Gmail account, you can set one up here. Step 2) Hit Settings to Add your domain email to GMAIL. Step 6) Your decision on whether to leave a copy of retrieved message on the server will primarily depend on where you want to receive your mail. If you’re going to use Gmail as your exclusive source for email, uncheck the leave on server box. Step 7) Confirm the settings and Hit “Finish” or “Next Step” is “Yes” is selected. Webuzo is ported with SquirrelMail as the default web-client to access emails. 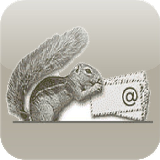 Accessing SquirrelMail is as simple as a pie with Webuzo. Error : Bad request: The IMAP server is reporting that plain text logins are disabled. For instance you may face an error as follows while logging in to the web-client, which is forced SSL authentication. Save the above file !!! That’s it !!! Simple enough !!! Webuzo allows users to install Pure-FTPd by just a click of a button from the Webuzo Enduser Panel. Pure-FTPd is actively supported, and it was always designed with security in mind, and the code is always re-audited as new kind of vulnerabilities are discussed. This guide gives a quick walk through to FTP to your server using FileZilla. 1) Make sure the Pure-FTPd service is up and running. You can restart it for once. 2) Navigate to Webuzo Enduser Panel >> Manage FTP to get the list of FTP users on your server and related details. 3) FTP to your account using the details. This issue persists because the server is unable to connect in passive mode. 2) Switch to Active mode in File Zilla and you are in. 3) Re-connect your FTP user !!! Licenses earned from the Webuzo Client Center can now be managed from the Webuzo Enduser Panel to be used by the installation of Webuzo on the server by just a click and a simple and easy to use interface. Step 2) Enter your Webuzo License Key and email address and Hit “Submit”. That’s it !!! Simple eh ? Protecting files on your website from unauthorized users can add a layer of security to your website. This can be done in various ways, one of them is using the .htaccess and .htpasswd files to accomplish the task. Password protecting a directory on your site is actually fairly easy. Webmasters typically want to protect a directory if they have information that they want to make available only to a selected number of people. This guide will help you to password protect your directories over the web. Since, this feature is not available by default in Webuzo, a few tweaks and you should be all set to implement this functionality. This file is required to hold the username:password combination for the directories to be accessible. Execute the following command to create the name:value password pair. Follow instructions to set the password for the same. Access the directory from the browser and you should be prompted for a username and password.